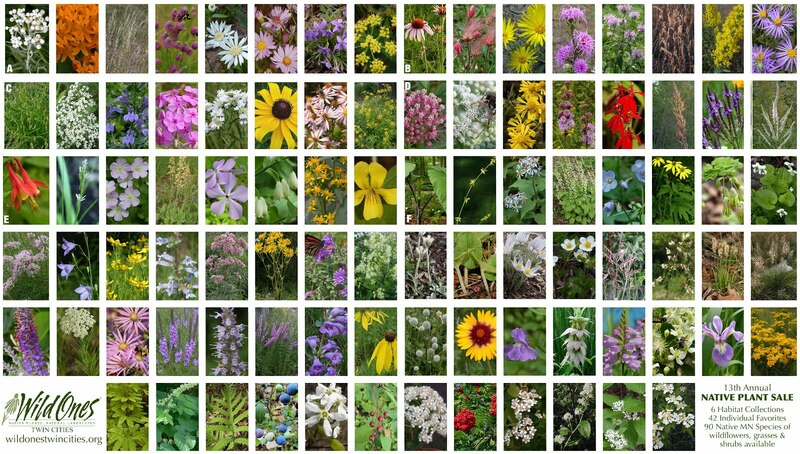 Our 11th Annual Native Plant Sale offered 5 collections and 16 individual favorites for pre-order. 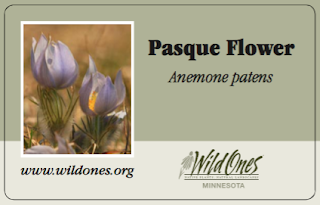 Additional native plants donated by members will be for sale on Pick-up day. Keep this in mind as you divide your native plants this spring, and donate extras to help support your local Wild Ones Chapter! Click here for the 2017 WOTC Plant Sale Order Form. 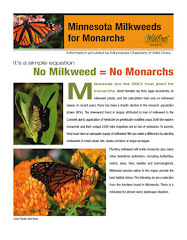 Images on this page courtesy Minnesota Wildflowers (Katy Chayka, Peter M. Dziuk), Illinois Wildflowers and Go Botany: New England Wildflower Society, Missouri Botanical Society, Friends of the Wildflower Garden, Lady Bird Johnson Wildflower Center (Sally and Andy Wasowski, R.W.Smith Collection), and chapter members Vicki Bonk and Julia Vanatta. PLEASE NOTE: Species may be substituted if there is a crop failure. All flat and plant reservations will be accepted in the order they are received. We suggest you make a note of everything you have ordered for reference as you design your garden. Please use the Order Form when placing your order. Thank you. Be sure to check out our beautiful and durable native plant signs at the plant sale and at all chapter meetings! Individual signs are $3 each. Native plants were here long before lawnmowers, sprinklers and garden chemicals. Once established, plants native to this region are low maintenance and do not require care typically associated with gardens. Native perennials build a strong, deep root system before focusing on the production of leaves, stems and flowers, resulting in plants that are sturdy and drought tolerant. 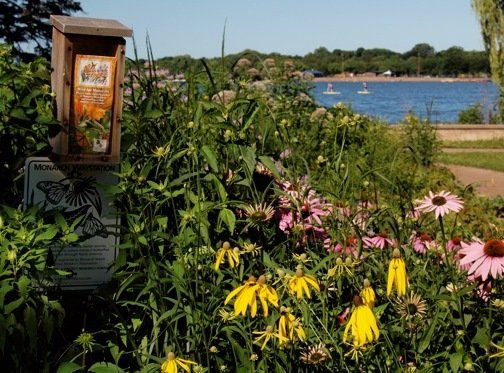 Native plants are beautiful, and provide food and shelter for wildlife including butterflies, dragonflies, pollinators and birds. It is important to match species requirements with the site features such as soil type, light conditions, moisture and drainage for the planting to be successful. You can start now! Proper site preparation gives your plants a great head start. Removal of competitive weeds and grasses must be accomplished before planting begins. One option: cover the area with 10-15 layers of newspapers to block out sunlight. Saturate the newspaper with water to prevent it from blowing away, then apply a clean shredded mulch or compost. Later, after the newspaper has softened but is damp, punch holes in it and insert your new plants. Flats include 6-packs, and have been designed to cover about 30 to 45 square feet, depending on flat selected. Plants should be spaced 12-18 inches apart as most will spread out as they mature. A good rule of thumb: One plant per square foot. Species may be substituted if there is a crop failure. 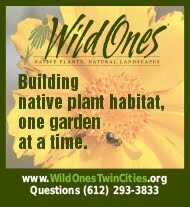 Wild Ones, Native Plants, Natural Landscapes, is a national non-profit organization that informs and teaches people how to use native plants in their landscapes. Wild Ones distinguishes itself from other garden organizations by encouraging gardening with native plants and moving away from the use of chemicals, watering, excessive mowing and other practices commonly used by traditional gardeners. Support Wild Ones educational programs by joining our organization. Include a check for $37 with your plant sale order (a separate check from the check for your plant order). Your membership fee is also a tax deductible donation. For more information, visit WildOnes.org.